It looks like a Wear OS watch but it's not. It’s been a while since Huawei released a Wear OS watch—and even longer since it’s released a good one—but that doesn’t mean it’s out of the wearables game. Quite the contrary. Alongside its flagship Mate 20 Series phones, Huawei is launching a brand new smartwatch that’s been redesigned from the inside out, and it represents a fresh start for the company that doesn’t include Google. On the outside, the Huawei Watch GT looks like any normal watch. A mix of stainless steel and ceramic, it features a 1.39 OLED screen with a diamond coating and is compatible with all standard 22mm watch bands. That’s bigger than the 1.2-inch Huawei Watch 2, but the overall package is slightly smaller and thinner than the Wear OS model (10.6mm vs 12.6mm). 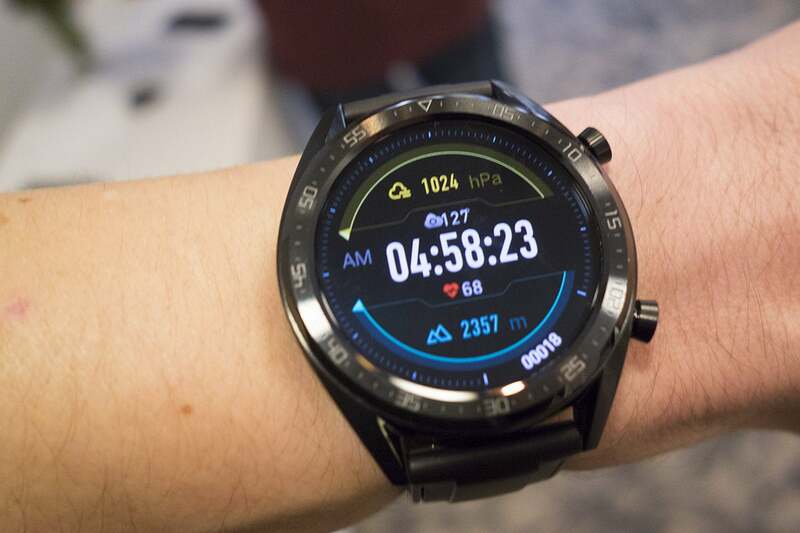 Huawei is using its TruSeen heart-rate monitor for advanced exercise and sleep tracking, as well as built-in GPS and multi-mode swim tracking thanks to 5 ATM water resistance. So as you can guess (and see), it’s big. 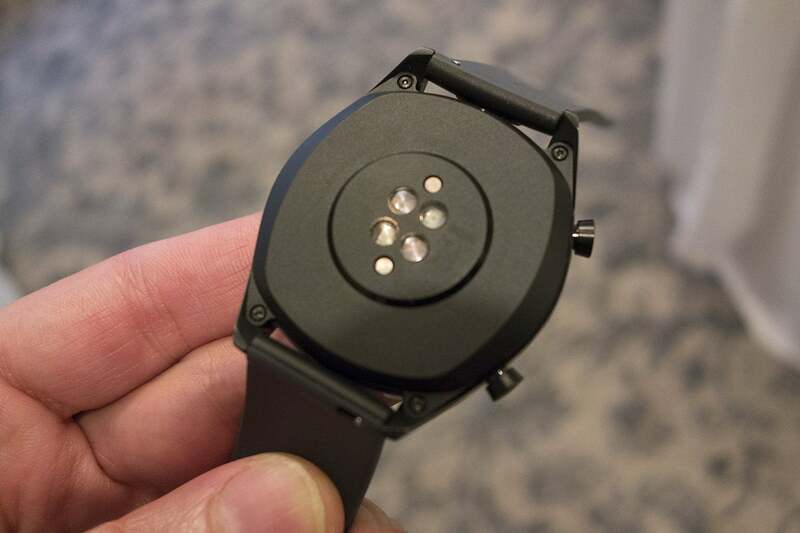 Huawei says the watch is built for “urban explorers,” but it’s still very much geared toward big wrists. It felt more comfortable on my wrist than the Huawei Watch 2 when I wore it for short while during my hands-on, but the Watch GT is still a masculine watch. Driving that point home: there’s enough space for two digital crowns on the side for some reason. Wherefore art thou, Wear OS? But what you won’t find on the Watch GT is Wear OS. Instead, it runs LiteOS, Huawei’s own wearable operating system. The world probably doesn’t need another smartwatch operating system, what with Apple’s watchOS, Fitbit OS, Wear OS, and Samsung’s Tizen OS all battling for a piece of your wrist, but Huawei thinks Lite OS will solve one of the biggest problems plaguing wearables: battery life. Huawei’s TruSeen heart-rate monitor tracks your exercise and sleep on the Watch GT. It starts with the chip. Instead of the Snapdragon Wear 2100 or 3100, the Watch GT is powered by a custom dual-core processor that provides an average battery of up to two weeks, based on Huawei’s assessment. That’s because Huawei has added some AI smarts to its custom chip, giving it the ability to switch between performance modes depending on how you’re using your watch. For example, if you’re exercising, it’ll switch to a higher performance mode than if you’re watching TV. Huawei says that with normal heart rate monitoring and 90 minutes of exercise a week the Watch GT will last two weeks. With continuous heart-rate and tri-GPS tracking, it will last about 22 hours. And with everything but the heart-rate monitor and notifications switched off, it’ll last a full month between charges. That’s an impressive feat that bests even the longest-lasting Fitbit without completely undermining the point of wearing a smartwatch. The Watch GT is compatible with iOS and Android via the Huawei Health app, but you won’t be able to install third-party apps. That’s because there isn’t an app store, and Huawei hasn’t signaled if or when one will be available, but it has bundled the usual array of apps for exercise, health, and sleep, though you there isn’t a music app or any internal storage on board. It has an NFC chip, though without Google Pay it’s kind of moot. 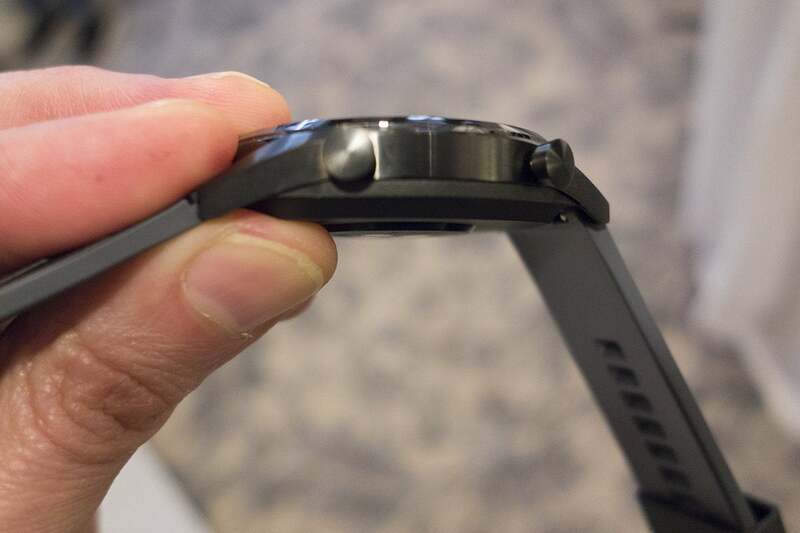 The Huawei Watch GT is thinner than the Huawei Watch 2, but it’s hardly skinny. And that’s the main hurdle Huawei has to clear with the Watch GT. Wear OS isn’t without its problems, but it’s got one thing going for it: support. Without third-party apps and Google’s commitment to updates, what can we really expect from the Watch GT? Plus, Huawei told me that its new platform isn’t meant to supplant Wear OS, which adds even more confusion. Huawei hasn’t announced U.S. pricing or availability yet, but based on the international MSRP, it should cost around $250. If the battery life is as strong as Huawei says, Huawei may be on to something with LiteOS, but it’s still going to have a hard time convincing people to buy one.